Scott Wood, Principal and CEO of Benefit Commerce Group, is an insurance benefits expert with more than 30 years of experience inside the health insurance industry. Prior to co-founding Benefit Commerce Group in 2009, Scott was COO of Independence Holding Co. (NYSE:IHC) and CEO of Insurers Administrative Corp (IAC). 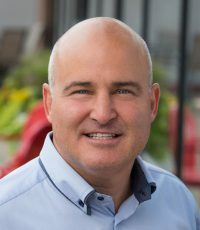 Scott is an inspirational and driven professional with proven ability to assemble and motivate management teams that deliver cost-effective return-on-investment. An expert negotiator and consensus builder, he is able to achieve win-win outcomes by cutting to the heart of issues and unifying stakeholders. Scott has been named the “Health Promotion Advocate of the Year” by the Wellness Council of Arizona, and “Most Innovative Broker” by The Institute of HealthCare Consumerism.